President Bush signed legislation Saturday that he hopes will reinvigorate the economy six months after the Sept. 11 attacks. He affixed his signature in a Rose Garden ceremony immediately after his weekly radio address. "Today we are acting to help workers, we're acting to create jobs, and we're acting to strengthen our economy," the president said during the ceremony. 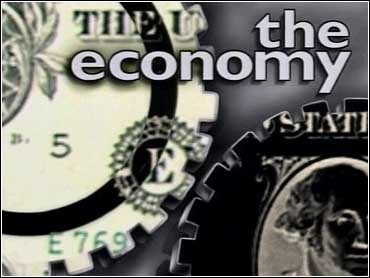 The move ends a political battle over recession relief even as the economy picks up on its own. Legislation, saying the government could not just hope for the best. The package extends regular 26-week unemployment benefits by 13 weeks and allows additional automatic extensions in states with high unemployment rates. It also provides businesses with a variety of tax breaks. The economic stimulus bill is projected to pump $51 billion into the economy this year, $43 billion next year and $29 billion in 2004, congressional analysts say. Its cost over 10 years is about $42 billion, because some tax breaks would generate government revenue in later years. "We're seeing some encouraging signs in the economy, but we can't stand by and simply hope for continued recovery," Mr. Bush said in the radio address. "We must work for it. We must make sure that our recovery continues and gains momentum. We want a recovery that is broad enough and strong enough to provide jobs for all our citizens." The nation's unemployment rate unexpectedly slipped to 5.5 percent in February as businesses, after cutting payrolls for six straight months, added 66,000 new workers. It was the strongest signal yet that the country's first recession in a decade is ending. The bill also creates a "Liberty Zone" in the lower Manhattan section of New York in which $5 billion in tax breaks will apply over the next 10 years to help the city recover from the attacks. "The terrorist attacks of Sept. 11 were also an attack on our economy and a lot of people lost their jobs," Mr. Bush said. The stimulus package "will allow those who lost their jobs in recession in the aftermath of the Sept. 11 attacks more time to pay their bills and support their families while they look for work." The Senate passed the legislation by an 85-9 vote Friday, less than 24 hours after the House had passed it by 417-3. A major reason that Republicans and Democrats reached a compromise after five months of gridlock on recession relief was that Monday is the six-month anniversary of the attacks. In an election year, members of Congress didn't want that day to pass without acting. Mr. Bush also noted that anniversary and U.S. campaign to go after those responsible for the attacks, in Afghanistan and elsewhere. "For the families of the victims, these have been six months of sorrow and America will never forget their loss," he said. "In our war on terror these have been six months of determined action. We have destroyed terrorist camps. We've disrupted terrorist finances. We've toppled the terrorist regime and brought thousands of terrorists to justice. We're strengthening our nation's defenses against attack and today we're acting to help workers, we're acting to create jobs, and we're acting to strengthen our economy." Mr. Bush has said that recent signs the economy may be recovering did not absolve the government of its duty to help Americans who are out of work or on the brink of being laid off.